With Christmas just days away I’m really starting to feel the time crunch, which makes me turn to Amazon, for some stress-free, crowd-free, kid-free last minute shopping. I could list all of the reasons why I love Amazon, but today we’re here to talk about just one of those reasons- the Mom Picks Holiday Gift List. There is a wide variety of toys for all ages, including an assortment of classics and, of-course some of the latest high tech toys. You can find quiet toys, loud toys and toys with the most beloved children’s characters. As a mom myself, I really appreciate the inclusion of many great educational activities with several STEM-focused toys. Your little ones will be having so much fun they won’t even know they are learning! 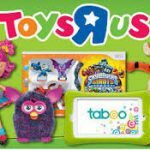 The best part is that you can confidently shop from this list for your favorite kids because the toys are chosen by moms and mom knows best, right? But, if that’s not enough, just check out the positive reviews! We’ve narrowed down the Amazon Mom Picks to our 15 favorites to help you find the perfect toy for your special little love! Kids love using the steering wheel- shaped remote control to race their RC SmartPoint Racer around the track. With over 13 feet of interchangeable track, 8 interactive mechanical features, 4 action zones and 9 SmartPoint locations, the VTech Go! Go! Smart Wheels Ultimate RC Speedway will provide hours of fun for your little one. 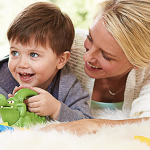 Toddlers will love the colorful Little Tikes Count ‘n Play Cash Register. Drop the coins in the top to sort by sizes and slide the credit card or pull the handle to open the drawer all while learning colors and shapes through matching. This adorable pet hospital includes two furry animal friends and all the medical supplies to get them back on the road to health. The B. Critter Clinic Toy Vet Play Set has an easy carrying handle and smaller items can be conveniently stored in the rooftop compartment. If you’re only going to have three puzzles in your home, the Melissa and Doug Classic Peg Puzzle set is the one to buy. When removed, each piece reveals a bright illustration that corresponds to the color, letter or number on the piece. Develop hand-eye coordination and visual perception skills while preparing your child for school! If you’re looking for good bang for your buck, you’ve found it. The Radio Flyer 4-in-1 Trike is the ultimate grow-with-me gift that can accommodate children from 9 months to 5 years old. It converts from a stroller with a 3-point harness all the way to a classic tricycle providing years of exercise and adventure. With a generous jump area and protective netting, the compact Little Tikes Jump ‘n Slide Bouncer will give your child countless hours of safe jumping, bouncing, sliding fun. It inflates quickly and is designed to fit in most backyards. The Snap Circuits Jr. Electronics Discovery Kit has more than 3,000 reviews (89% of them 5-stars!) and is an awesome way to introduce a child to electronic experiments. The set includes 30 pieces to create 101 exciting projects such as a photo sensor, flashing light, and adjustable-volume sired. The Hot Wheels RC Terrain Twister is not just any old, remote controlled vehicle. Instead of silly old wheels, it’s equipped with pontoons which enable it to tackle any kind of terrain on land and in water, during any season- even in the snow! Step into the world of Anna, Elsa, and Olaf in this gorgeous KidKraft Disney Frozen Ice Castle Dollhouse. Great for dolls up to 12” tall, this sturdy dollhouse includes 12 pieces of furniture to decorate the five-room palace adorned with Frozen-themed artwork. Wonderful for any young Frozen fan- big enough for a few to enjoy together! This Grow n’ Glow Terrarium Kit contains everything needed to create a fun little terrarium. Kids just assemble, decorate, water and wait. Before you know it, they’ll have their very own flourishing mini-ecosystem. Included are 45 glow-in-the-dark stickers so that this tiny garden can be enjoyed at night as well! Excellent for a sleepover, girls’ day, or mommy-and-me time, the SmartLab Toys All Natural Spa Day introduces children to the science of beauty, all while enjoying a fun, relaxing party with friends. Kit includes a party planning guide with menu, all-natural spa recipes (for lip balm, face masks and more!) and take-home gifts. Kids will have so much fun building their very own vehicles powered by air and water pressure that they’ll never know they’re learning about physics! The Thames & Kosmos Air + Water Power set includes parts and instructions for constructing 15 different projects such as a helicopter, backhoe, or motorbike. Once assembled, all models run on air or water pressure! The MiPosaur can be controlled with hand gestures, the included TrackBall or the MiPosaur app on a mobile device. This robotic dinosaur features curious, excited, and annoyed moods and responds to commands in different ways depending on its mood. Take your dino for a walk, feed it dinner, watch it dance to the songs in your iTunes library, and so much more! Abracadabra! The Melissa and Doug Deluxe Magic Kit is an excellent choice for your budding magician and contains ten classic, but easy to perform illusions and magic tricks. And like all Melissa and Doug toys, this one is safe, durable and built to withstand small hands! Take part in an epic adventure with some of your favorite characters. Disney Infinity 3.0 Edition allows you to mix and match versions 1.0 and 2.0, combining the best of Marvel, Star Wars, Disney and Disney-Pixar! The Star Wars Saga Bundle includes the 3.0 game and base as well as 7 play figures. Available for PlayStation, Xbox, Wii, and PC. Whether or not you feel like time is running out for your Christmas shopping, take the hassle free route and turn to the Amazon Mom Picks Holiday Gift List for help to find the best kids gifts. 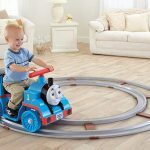 For some more of our favorites check out our Pinterest Board: Amazon Mom Toy Picks. -Written by RegistryFinder.com contributor Rebecca Haar. Easy Entertaining – Everything You Need for the Perfect Party! 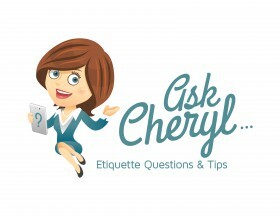 Ask Cheryl: Can Those Invited Only to the Reception be Invited to the Bridal Shower?